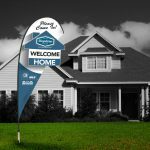 Our impressive 8’ feather real estate flags are the perfect way to get your real estate business noticed. Bright, bold, and strong, they are the ideal way to advertise your open house or special event. 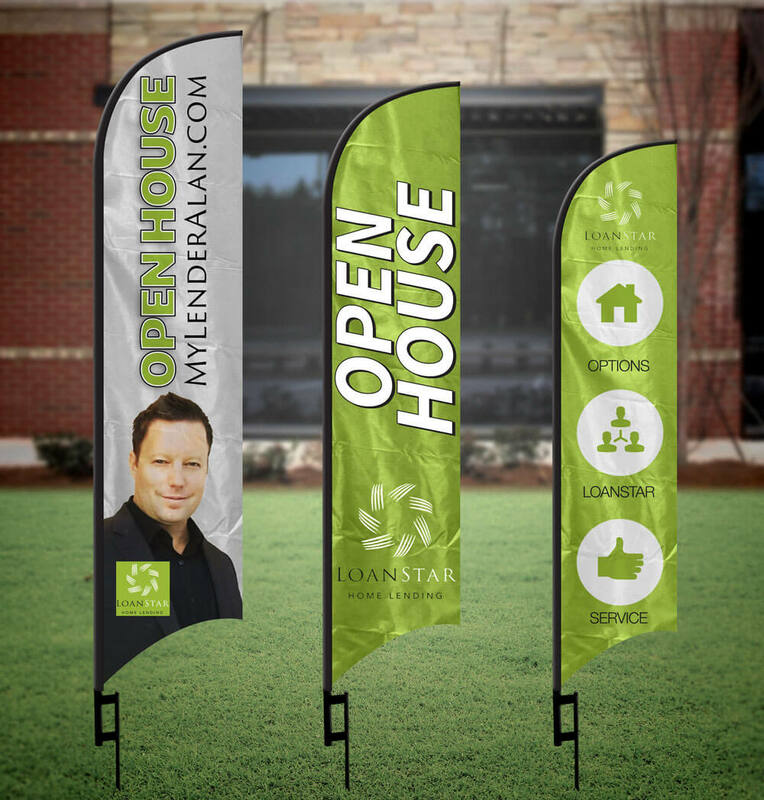 Each large open house flag banner comes complete with your own custom design, all in one kit. 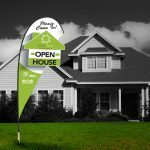 There is no better way to get your open house or special event noticed than with our large real estate open house flags kit. These huge 8’ feather flags complete with your own custom design are tough, durable, weatherproof, and they look amazing. 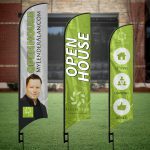 Capture more attention from potential customers, get more people into your open house, and increase your brand visibility with these stunning flags for open house events. 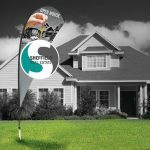 Our large open house swooper flag is just what you need to get more attention for your business or special event. We have a wide range of flags in our store. Take a look at our Small Double-Sided Flags and Small 3D Real Estate Flags for more options.